From afar, Haryana appears to be in for a multi-cornered battle among a number of parties with infighting and factional feuds. But the fight is really between two parties — the Bharatiya Janata Party (BJP) and the Jannayak Janata Party (JJP). The outcome of the Jind bypoll in January is proof of this. BJP's Krishna Midha trumped JJP's Digvijay Singh Chautala by a margin of 12,935 votes in what was a high-stakes battle for the Manohar Lal Khattar government. Chandigarh may be the official capital Haryana shares with Punjab, but Jind is its undisputed political citadel, a referendum for electoral relevance and glory of parties. Late last year, a group led by Ajay Chautala, elder son of former Haryana chief minister Om Prakash Chautala, broke away from the Indian National Lok Dal (INLD) and formed JJP after a power struggle between Ajay and his brother Abhay Chautala. Today, the grandsons of the Chautala clan — Dushyant and Digvijay — spearhead the JJP. They now seek to retain the Jat vote and also attract the youth by redrawing its social policies to focus on women and first-time voters and laying the emphasis on education and employment. In contrast, the INLD candidate lost his security deposit in the Jind bypoll, and its alliance partner Bahujan Samaj Party also ended ties with the party after the result was declared. Om Prakash Chautala is in jail, and the old cadre is crumbling. INLD, which once enjoyed unparalleled support from Jats in rural Haryana, seems to be losing its core voter base to the family feud. 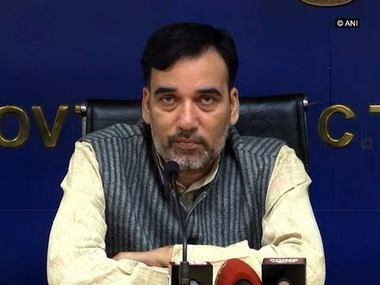 Meanwhile, speculations of JJP allying with the Aam Aadmi Party (AAP) are gaining strength, and a decision is expected soon. 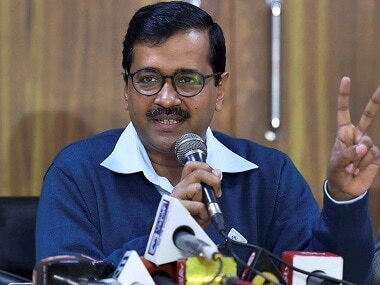 Till December, Delhi chief minister Arvind Kejriwal had been addressing rallies in Haryana and talking about his alternative development model with the focus on schools and hospitals. Kejriwal also urged people to shun established political parties that have "played the Jat-non Jat card and divided the people of Haryana" and vote for AAP's change. "I appeal to the youth to support us and save the country. 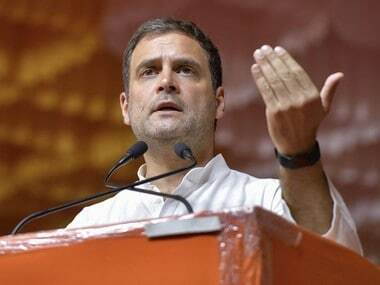 If these parties continue to rule for some more years, the country will not survive," he had said at a rally in Sirsa in December. The narrative could have worked well with JJP's focus on women's safety, health and education. "The Khattar government had promised that post-graduate medical colleges would be established in every district, but that has remained an unfulfilled promise," said Naveen Singh Jaihind of Haryana AAP, adding that 700 government schools have also shut down. If AAP forms an alliance with JJP in Haryana, it will throw itself into the Jat versus non-Jat narrative that it had projected to be against. In 2004, Dushyant Chautala had won the Jat-dominated seat of Hisar — where the community makes up 33 percent of the population — on an INLD ticket. The constituency covers the whole of Hisar district and parts of Jind and Bawana districts. Dushyant was all of 25 when he had won from the constituency in 2014. Jats, who make up a little less than 30 percent of the state's vote bank, favour strong leaders from the community. In 2014, Congress had won 10 of the 14 seats in the Jat-dominated Rohtak, Jhajjar and Sonepat districts. "BJP (leader Kishan Midha) won the Jind bypoll because former INLD MLAs with strong on-ground appeal had defected to the saffron party," Haryana JJP president Nishan Singh told Firstpost. Midha's family defected to the BJP from the INLD. In fact, he is the son of late INLD legislator Dr Hari Chand Middha. The JJP state president told Firstpost that the party's stand is ideologically anti-Congress, but alliances are political compulsions. Given the BJP's ability to consolidate the non-Jat vote and the Modi factor, which led the party to victory in 2014, the battle is clearly between these the saffron front and the JJP. All was well till AAP made plans to enter the Haryana contest riding on the back of its alternative politics the footwork of which is rooted in decentralised quality healthcare and education. Instead, Kejriwal's party chose to seek an alliance with the Congress, which even the JJP is opposed to. In January's recent Jind by-election, Congress fielded its national spokesperson Randeep Singh Surjewala, who came in third and managed to garner just 22,740 votes. Former chief minister Bhupinder Singh Hooda and his son campaigned for him vigorously, but this worked against Surjewala because of the Jat anger against Hooda for ignoring the constituency during his decade-long rule while executing development projects in Rohtak. The Jat vote slipped away from the Congress. Also, with the All India Jat Arakshan Sangharsh Samiti turning violent in their demand for reservation and at least 30 people dying in the protests in 2016, the community was also disenchanted with the BJP and its non-Jat chief minister. By default, this makes JJP the single-largest contender for the Jat vote. In 2014, though the BJP had won seven seats in Haryana, it had lost to INLD in the Jat-dominated constituencies of Rohtak, Sirsa and Hisar. The only seat that voted for the saffron party in the Jat belt was Bhiwani-Mahendergarh, but after the 2008 delimitation exercise, a big population of Ahirs got incorporated in the area. 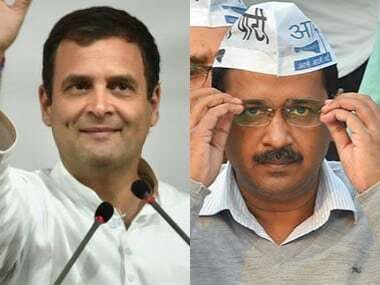 On 13 March, Kejriwal had appealed to the Congress to join the proposed alliance between his party and JJP in the state, but his Haryana ally snubbed the offer. With regard to strategy, what appears to have worked for AAP in Delhi and, to some extent, in Punjab's 2017 Assembly election was that it had consolidated the Opposition into itself when it emerged an independent third front by criticising the two warring parties. JJP could have benefited from AAP's young faces, such as Atishi and Raghav Chadha, and its issue-centric politics, but the push to ally with the Congress raised doubts about its intent. Has it become just another small party seeking political expansion? Meanwhile, BJP's lone Rajya Sabha MP from Haryana, General (retired) DP Vats said, "The alliance between AAP and JJP won't affect the BJP because this is a national election, and the two parties are irrelevant in the national scene. We won the Nagar Nigam elections and the Jind bypoll, which are indicative of the election to come." Poor strategising for one election might cost AAP many more.